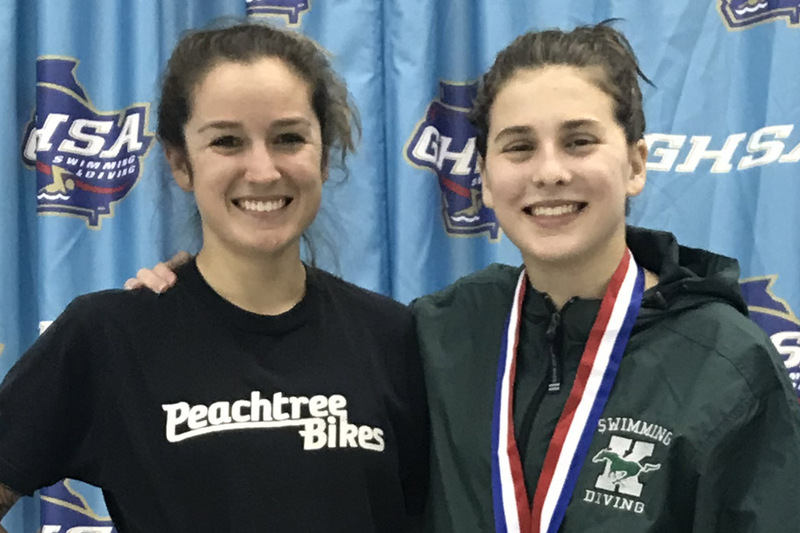 We Have A New GHSA 7A Women's Champion!!!! 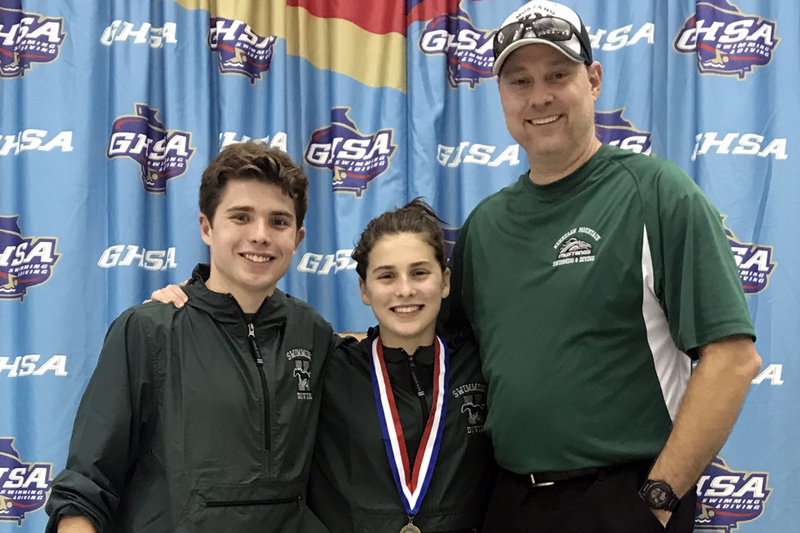 The Mustang Diving team ventured down to Georgia Tech for the 2019 GHSA State Diving Championships. 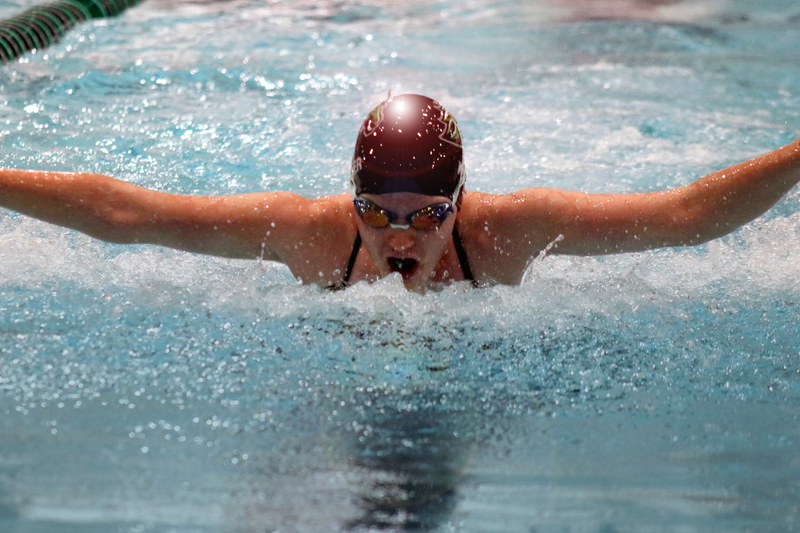 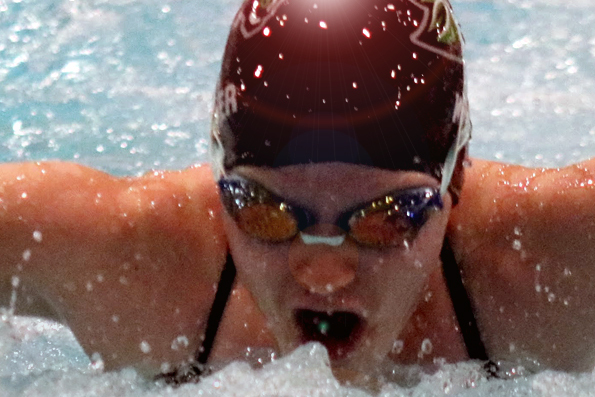 The team dove very well at the county meet, and the excitement had been growing, coming into the State meet. 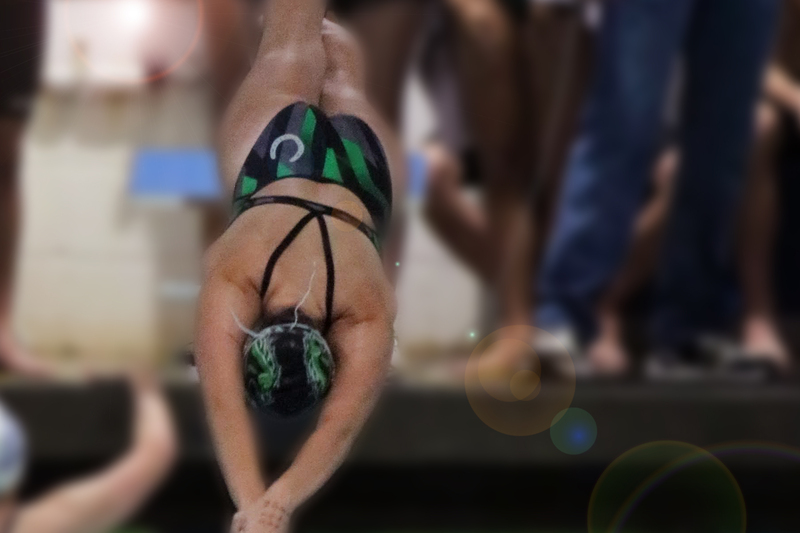 The dive team prepared all week, had their final practice and attended a State Team Dinner at Tin Lizzy's in Kennesaw. 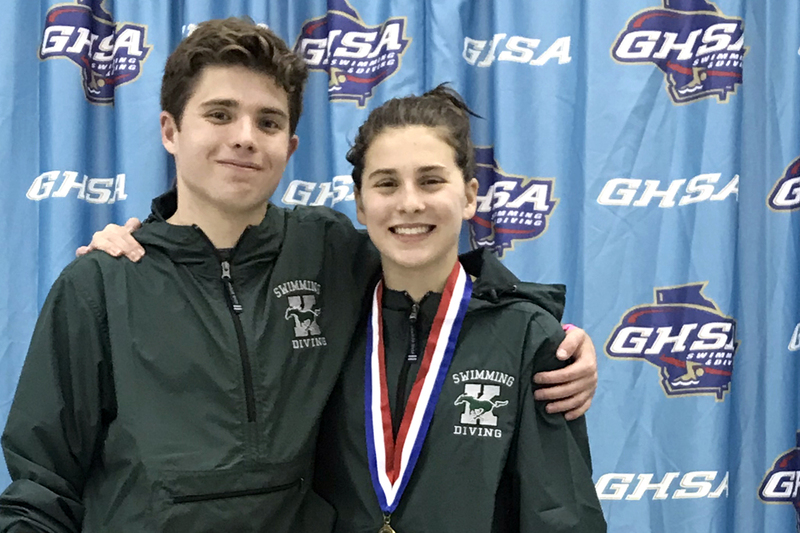 On the morning of Thursday, February 8th, the dive team woke up, and prepared to take on the best Georgia has to offer. 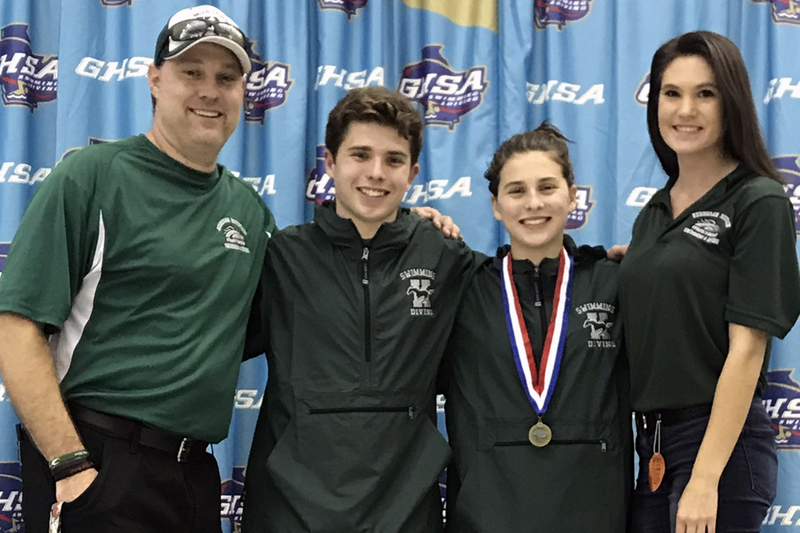 The dive team had a great GHSA State Meet. 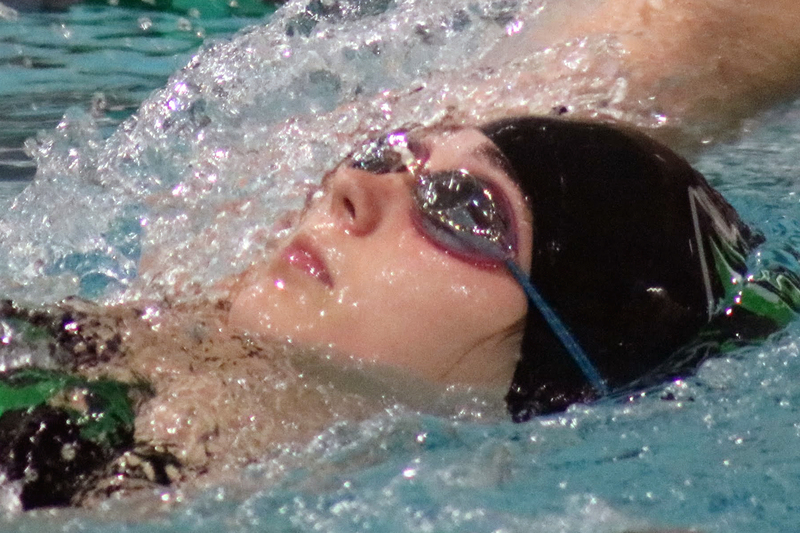 Our excellent divers dove exceptionally well, and the results confirm that "hard work pays off." 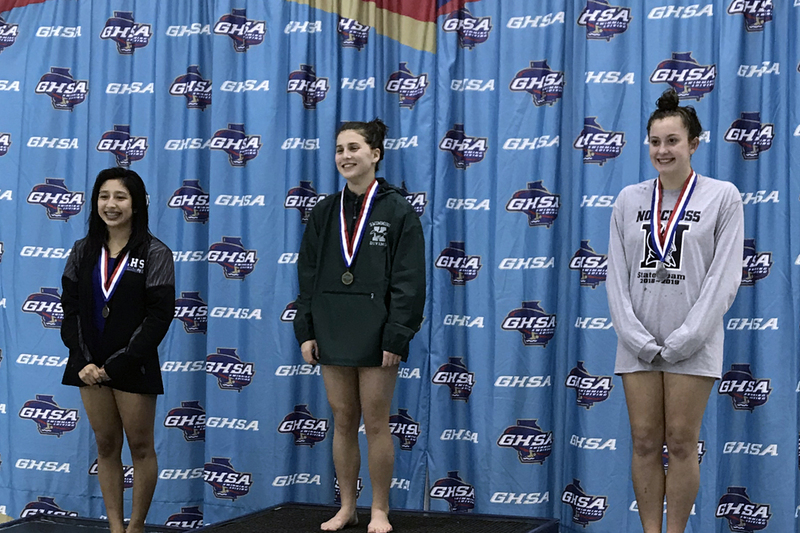 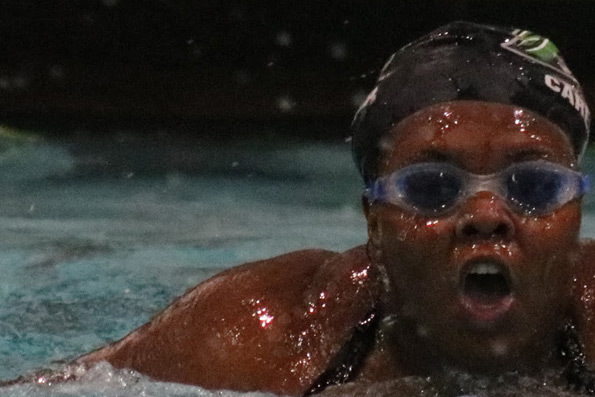 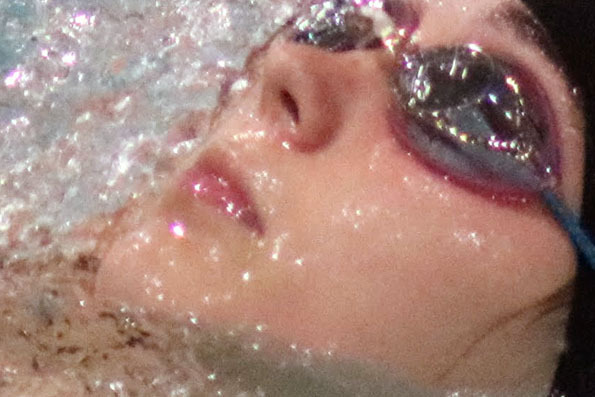 Here are the results of the GHSA STATE DIVE MEET. 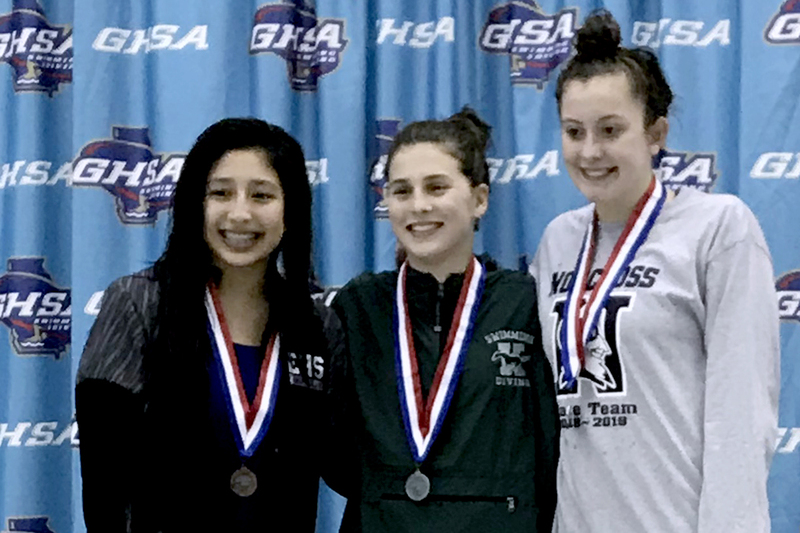 Kennesaw Mountain’s Kyler Dixon prevailed, winning the Class AAAAAAA championship with a score of 542.20, beating Norcross’ Abby Camarda (526.65) and Etowah’s Kassa Gutierrez (512.85). 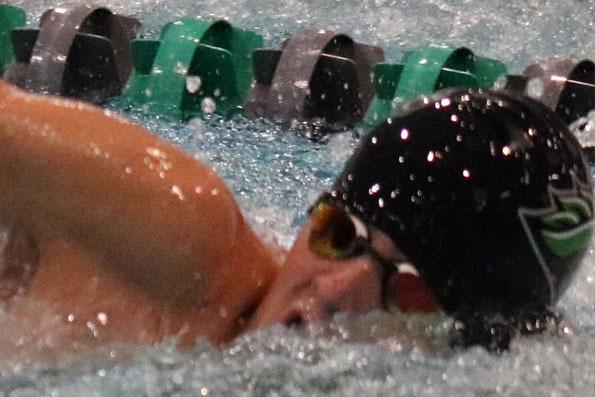 Kyler won the event by scoring over 15 Pts more than the second place competitor, and set a new school record, by 50 Pts. 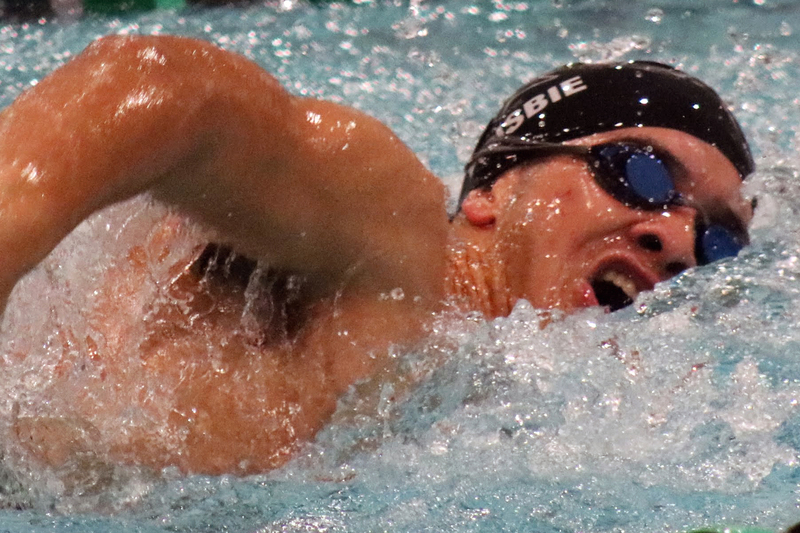 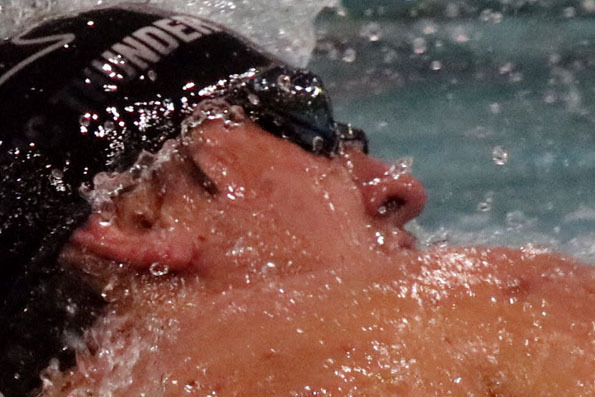 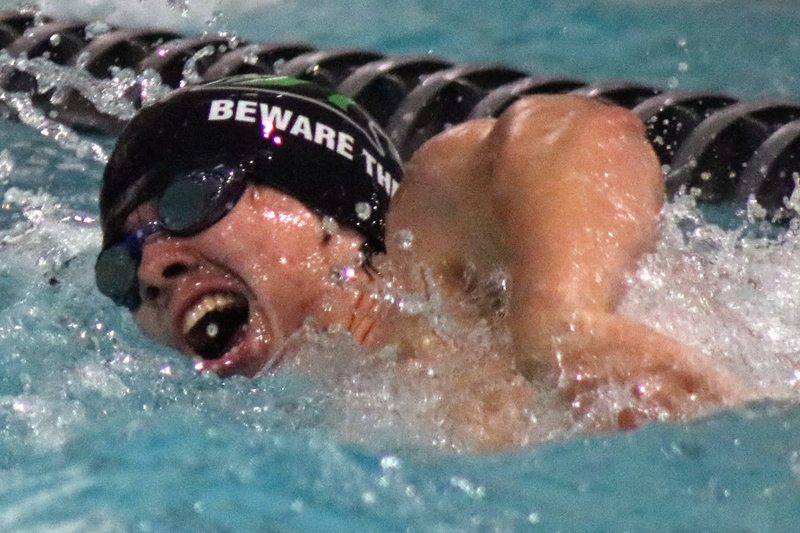 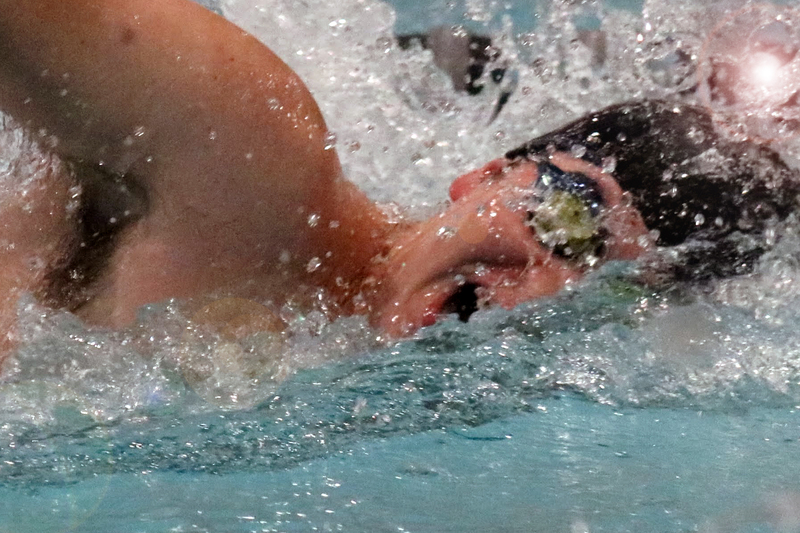 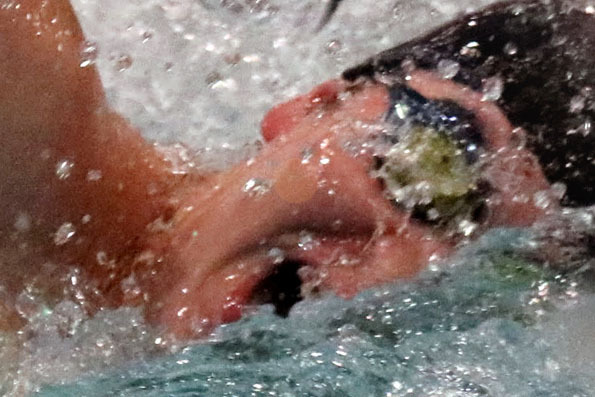 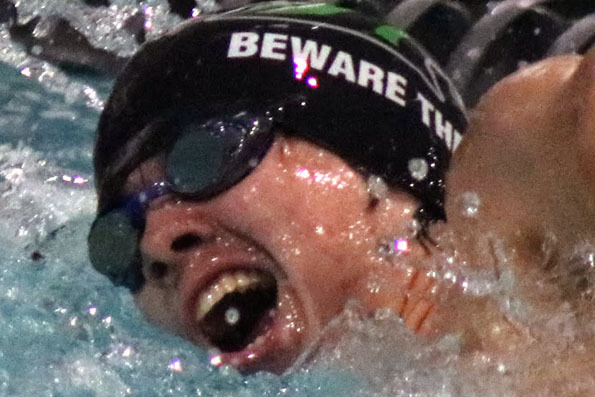 Kennesaw Mountain’s Kyler Dixon scored well, with a school record of 586.60 Pts., but could not fend off 4 other swimmers. 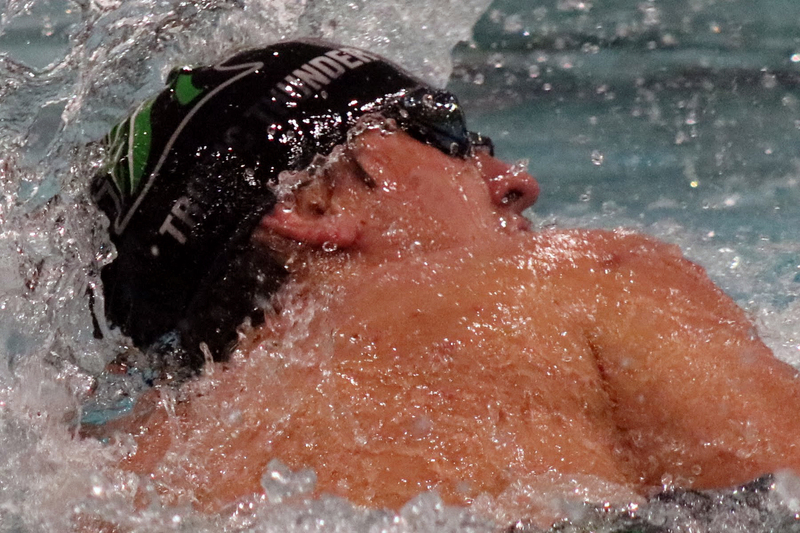 Coming out on top was Peter Smithson, of Collins Hill, with a state record of 762.35 points. 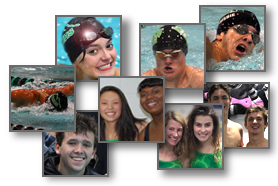 Congratulations to the divers and coaches for a fantastic season. 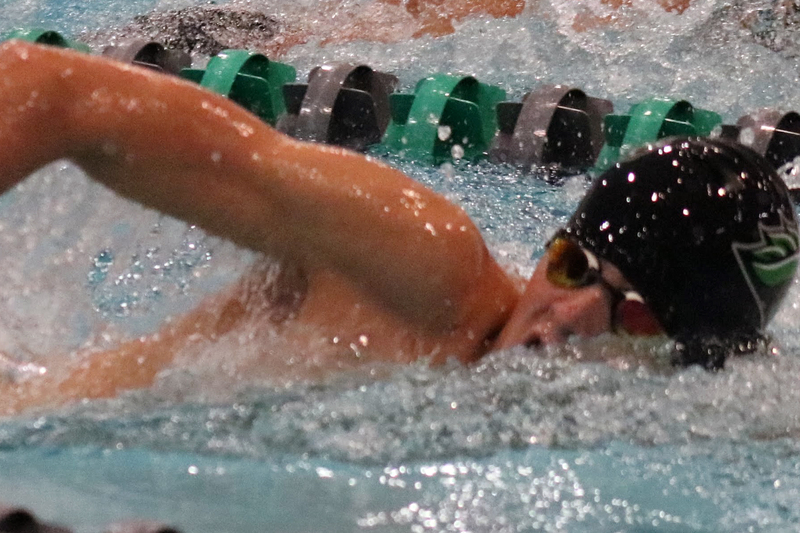 Our divers, with the exception of Karsten Dixon, will be back next year, and will be even stronger. 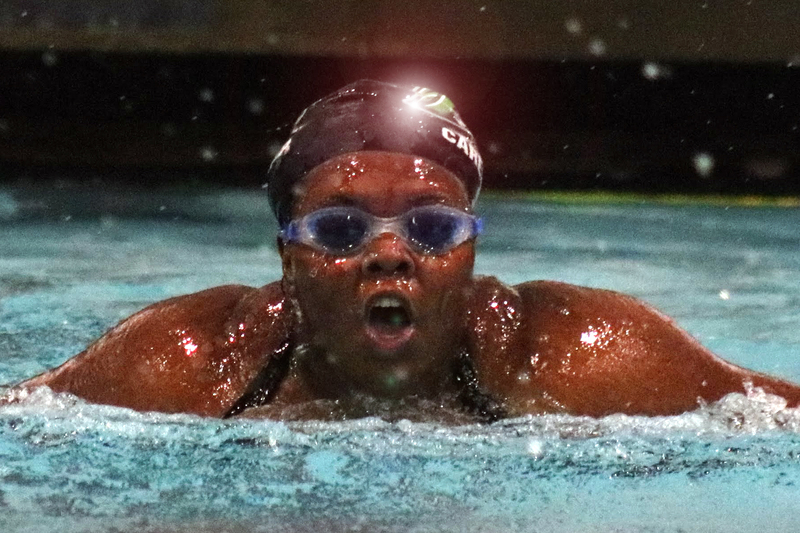 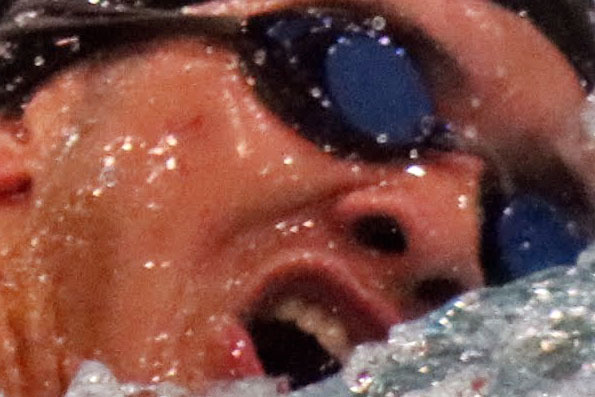 More great meets are to come.